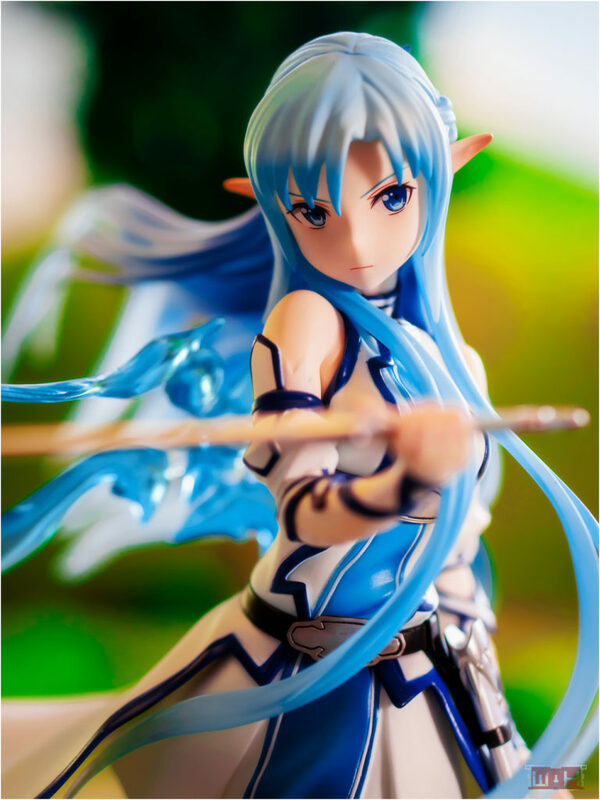 some weeks ago I received this cool looking figure of Asuna with pointy ears and a blue white outfit. 23 cm in height. The sculptor Takahama Kan is relatively new in the business and Emontoys hasn’t made that many figures so far, I didn’t really know what to expect, but I was really convinced by the promo pictures from the shops. I don’t consider myself as a fan of Sword Art Online, I have watched every season, but with very mixed impressions. Nevertheless I have enjoyed the movie and it’s lasted adaption SAO: Alicization has been very good so far as well. 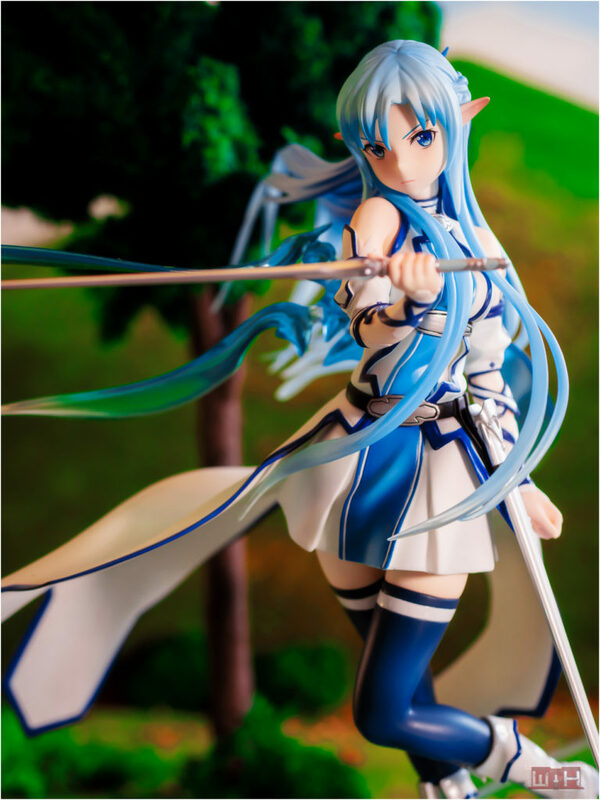 This is already my second figure of Asuna after the Titania version and later this year I will receive a third one ^^. 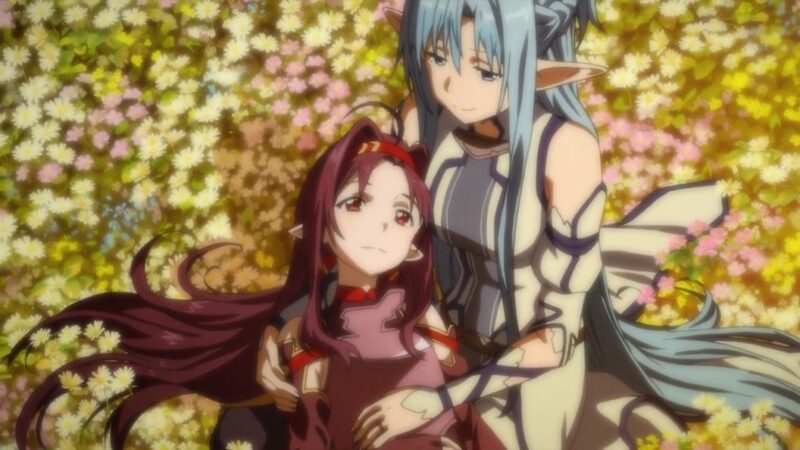 Asuna is a friendly and caring person, she survived the Sword Art Online incident and doesn’t show any mayor aftereffects from all the mess she went through because of it. 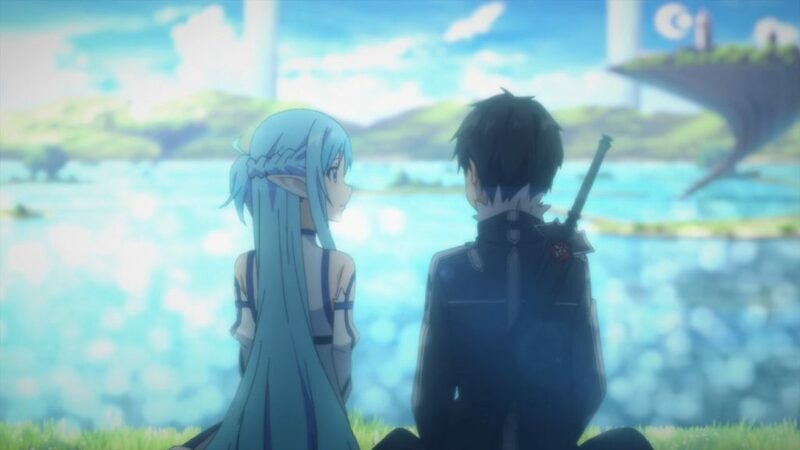 in Sword Art Online she is the doting all time girlfriend of Kirito and has a high tolerance towards all the female competition from other girls that Kirito is befriended with. 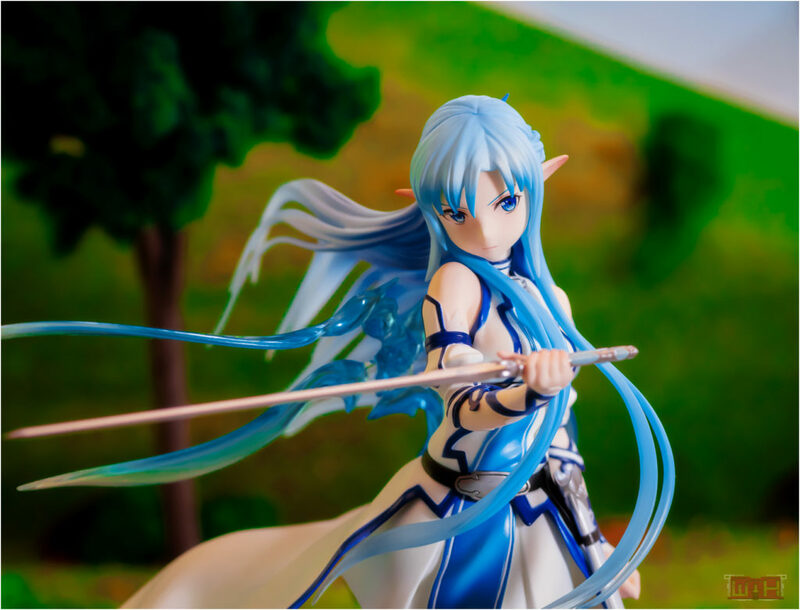 After the SAO disaster Asuna still plays MMORPG’s, she and her friends play Alfheim Online. 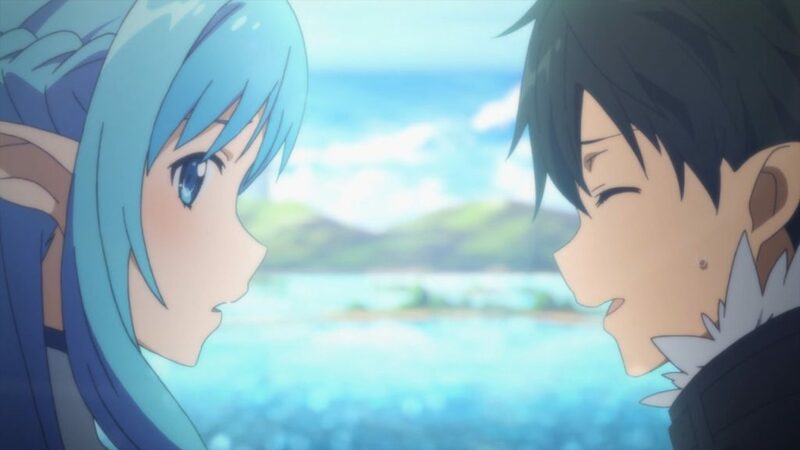 Asuna and Kirito have a virtual daughter named Yui and a comfortable house in the virtual world, that is often used as conspirative meeting place for them and their group of friends. 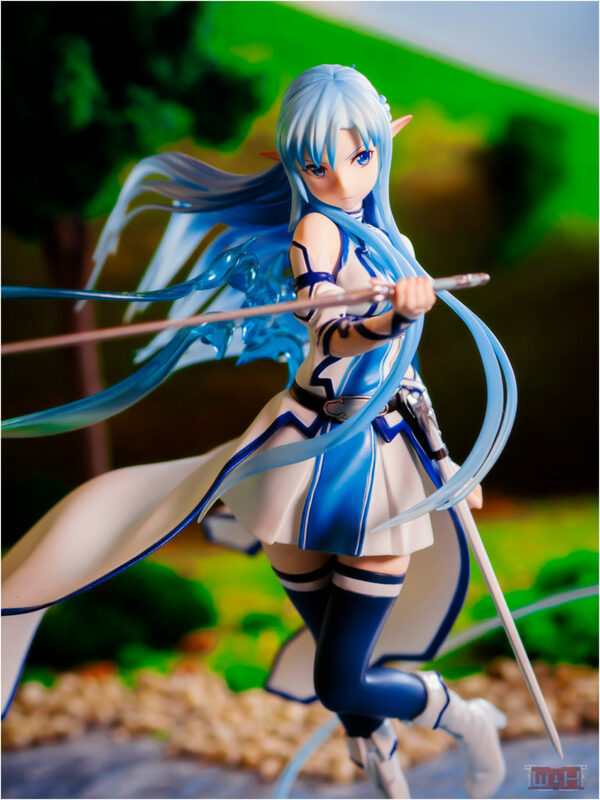 The outfit and appearance of this figure is based on Asuna in Alfheim Online. 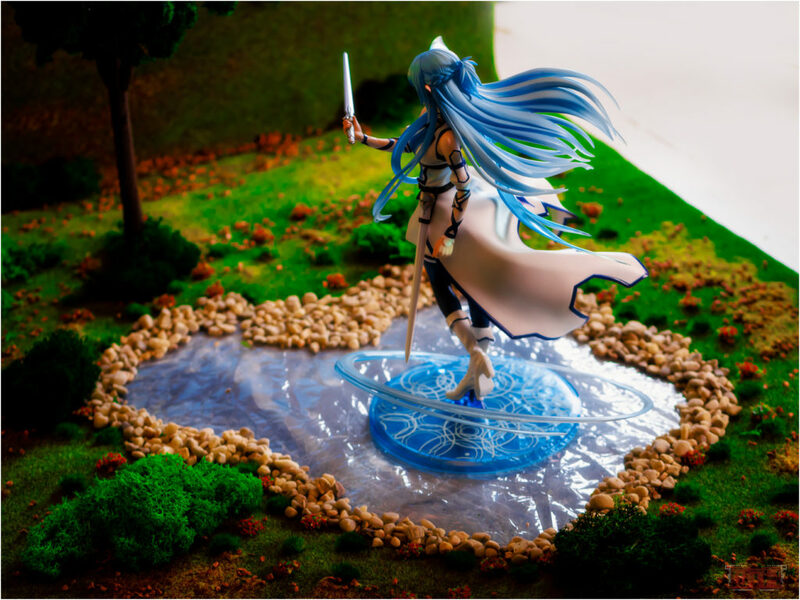 Asuna’s time to shine was in Sword Art Online II during the Mother Rosario episodes. There she met the player Yuuki and her Party. In no time Asuna became close friends with Yuuki. It was a nicely written arc, heartwarming but also very tragic ending, even though I have rewatched it for a second time I ended up bawling and teary eyes. 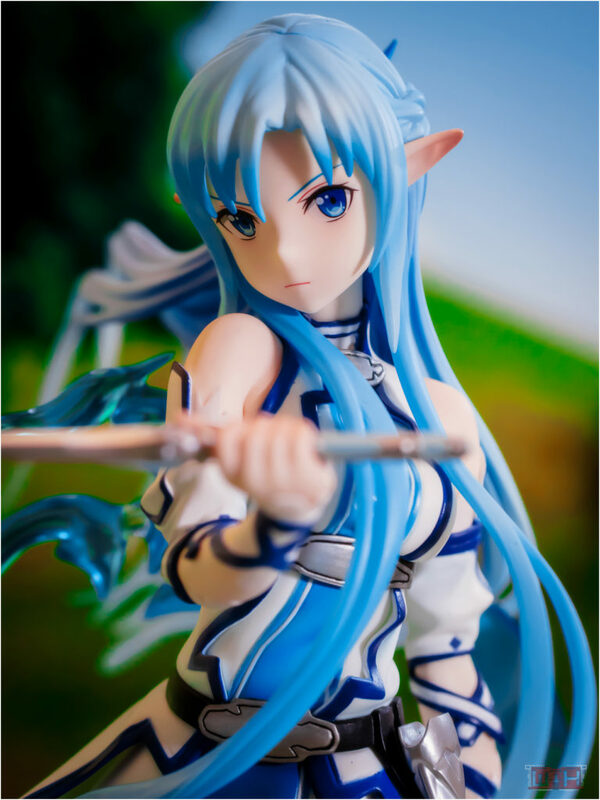 Asuna was captured while wearing a serious expression, in general she is a cheerful person, but when you get on her bad side you’ll get stabbed. Overall her face looks great, the shape of her head is appealing and she has beautiful eyes decals. 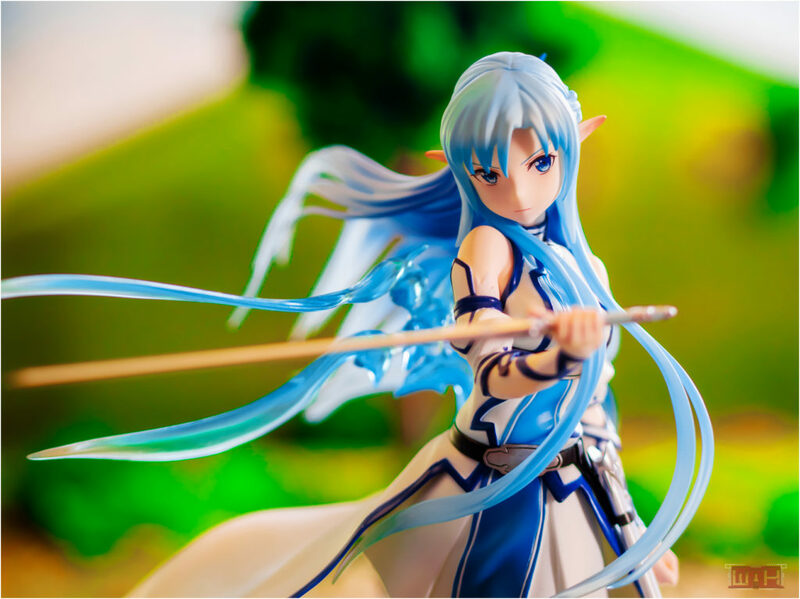 Everyone in Alfheim Online is a Fairy like creature with pointy ears, I really like Asuna with pointy ears. 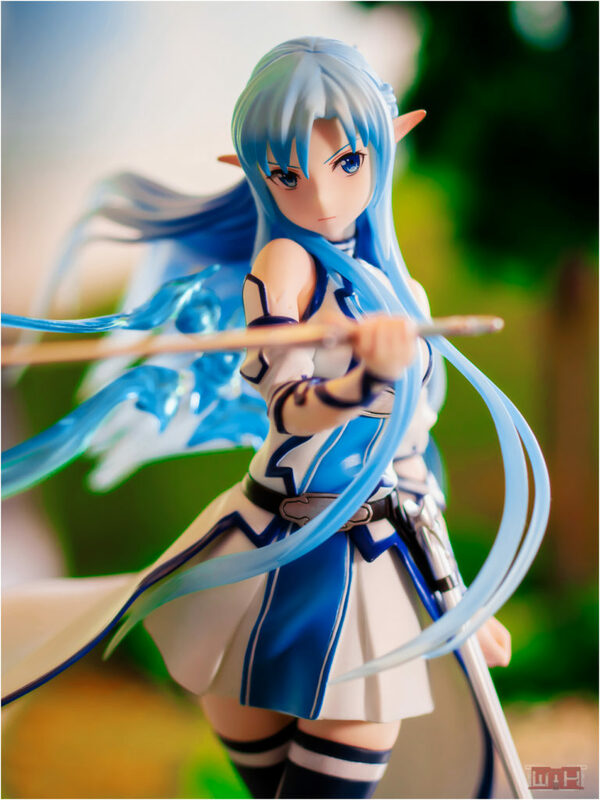 The figures hair is a good adaptation of Asuna’s appearance in the anime. It looks very pretty with its nice sculpting and dynamically flowing long strands. The combination of bright and darker shades of light blue is just great. At the last third the strands length they start to fade into transparent material. The level of detail is really fantastic. 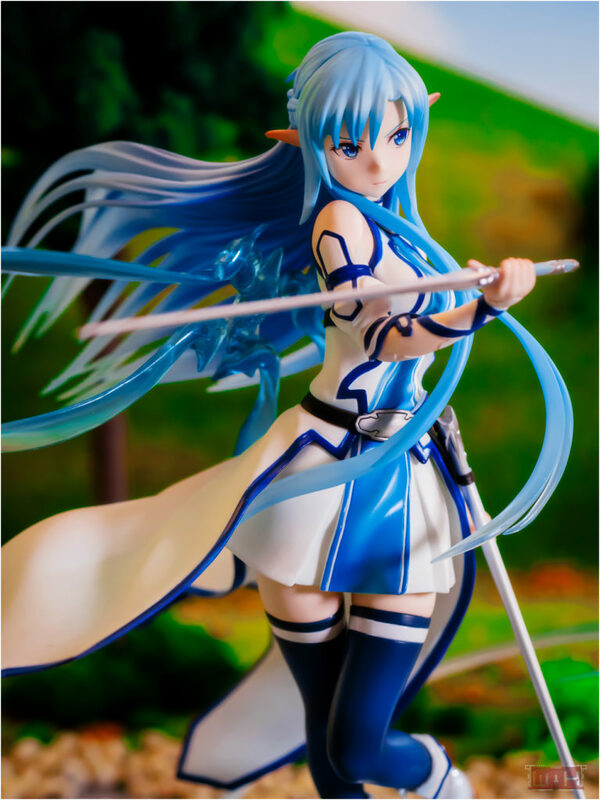 The outfit of Asuna has a great design, it’s a snow white uniform like dress with a dark blue rim with realistically sculpted wrinkles and folds. Around her waist she is wearing a fluttery cape. It looks really nice how the clothes seems to follow the figures movements. I also like the detailed sleeves at the arms, the blue lines have been applied carefully. 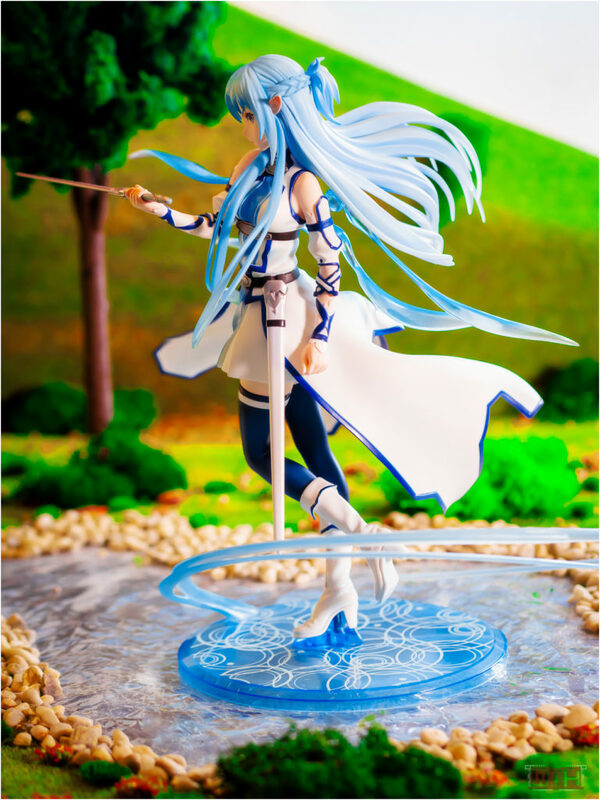 Asuna wears dark blue thigh highs and pretty boots which design also follows the one from the outfit. The scabbard is attached at her black belt and she holds her rapier sword drawn, ready for some action. 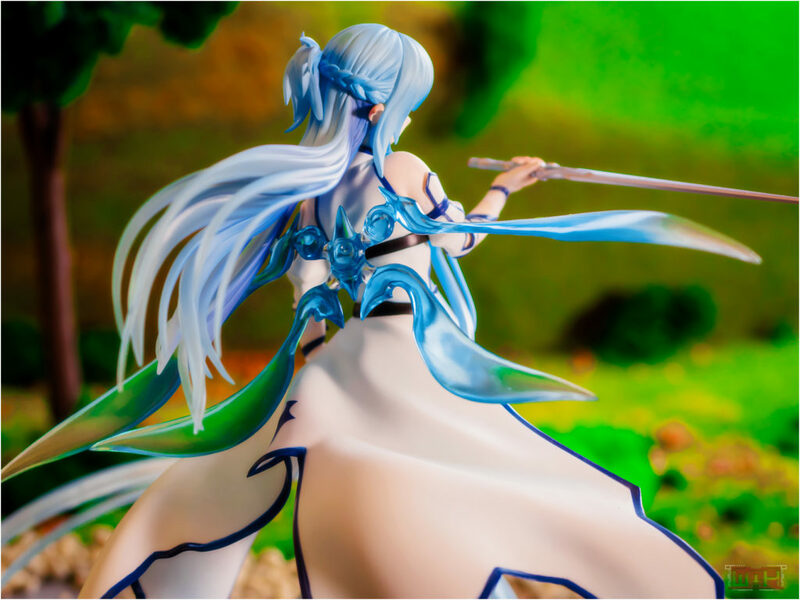 An optional part of the figure are the blue, translucent fairy wings, although finding the small hole for the peg is a bit tricky, Asuna’s figure looks very cool with the wings attached to her back. The figures relatively wide base is clear blue with light circles on it, that look like stylized impacts of water drops. 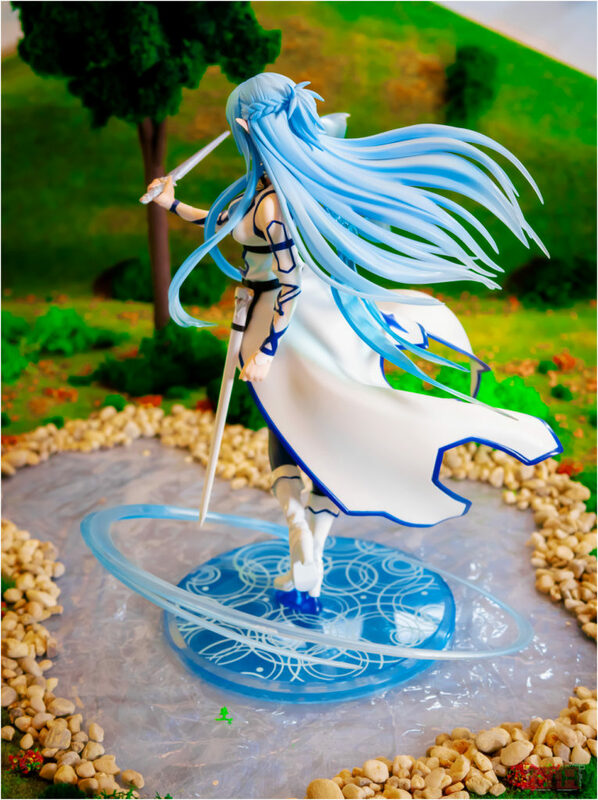 Attached to the base is a translucent part in shape of wide circular swirl that moves around her feet. 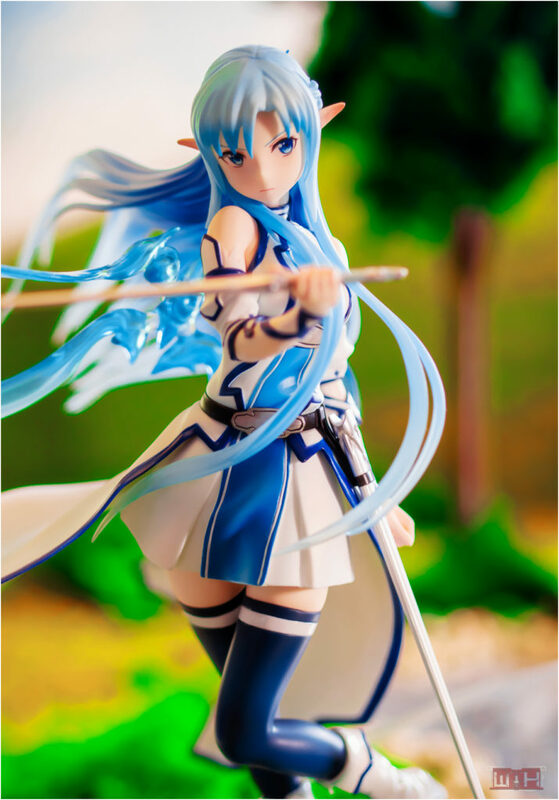 Asuna – Undine version is a wonderful figure, her stunning outfit that combines the colors white and blue in a very appealing way. 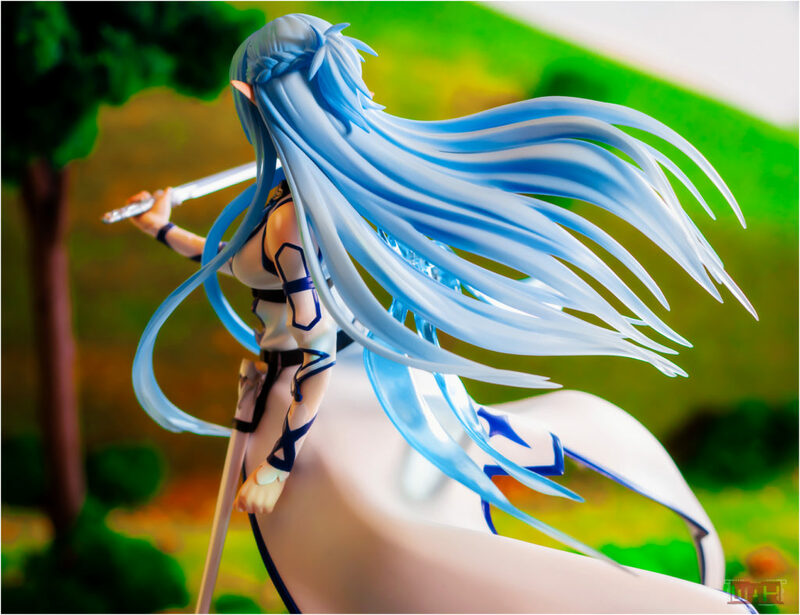 The figure has been put into a very dynamic way that presents her detailed hair with flowing strands. It’s also nice how the clothes seem to follow the movement of her body. The scowl on her face gives her a cool fighting expression. Usually I prefer my figures to have a smile, but I sometimes make exceptions. 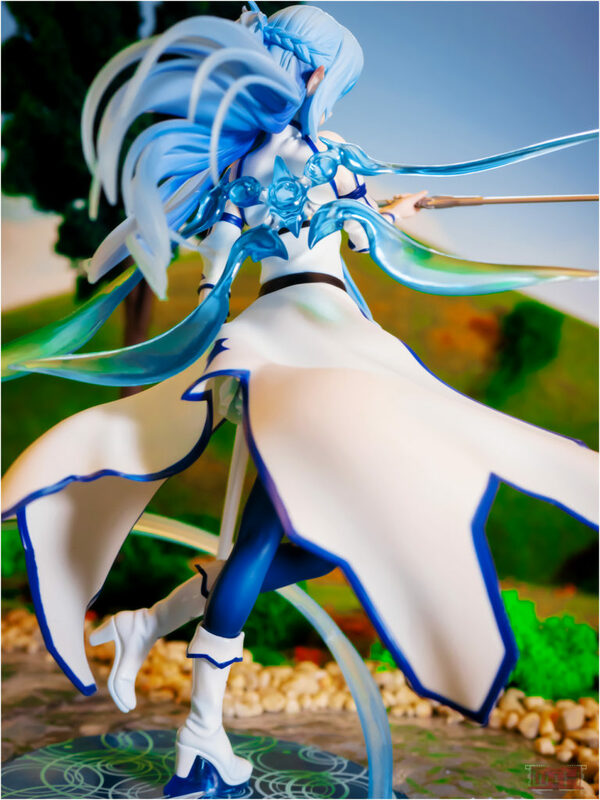 Judging from my impression of this figure, Emontoys appears to be a very good figure manufacturing company. thank you very much (‐＾▽＾‐）should have done more full body shots with it. I don’t like her other fighter uniform that much, really like her as blue fairy or normal girl. Yes a great thing about the figure is that she is looking tough.